Urban explorers. History nerds. Devoted Angelenos. You know who you are. 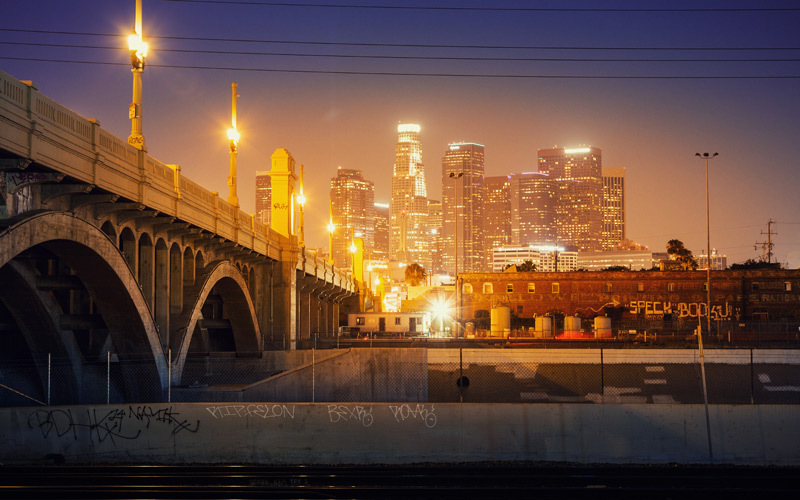 You’ve been around the block enough to have blitzed through much of our list of 100 things every Angeleno should do at least once, and you’re ready to get off the beaten path and take it to the next level. You’ve come to the right place. These are the entry-level rites of passage for the committed Angeleno excursionist. It could be a forgotten corner of Hogwarts. This dimly-lit museum features a collection of befuddling artifacts that (probably?) aren’t real. That guy playing the nyckelharpa in the rooftop garden courtyard is the museum’s owner David Wilson. A cafeteria with a stuffed bison, fake trees, a real meteorite, and a tiki speakeasy is the best kind of cafeteria. These two stores (there’s one in Echo Park and one in Mar Vista) sell important supplies for time travellers, like, you know, barbarian repellant, conquistador helmets, canned mammoth meat, portable wormholes, and leeches. Decidedly worse than the actual zoo. This collection of Native American artifacts in a fortress-like tower is only open on Saturdays and is the subject of some controversy. Ask for the key to the camera at the art lab office, then hike up the stairs to a dark, empty room on the second floor. Rudimentary camera technology projects a view of the beach onto a white disk in the center of the room. That box of mixtapes (that were way too heavy on Passenger in retrospect) from your ex belongs in a museum. Specifically, a museum devoted to disastrously failed romance. This windy promontory is home to a 17-ton bell that was a goodwill gift from SoKo (that’s an acceptable abbreviation for South Korea, right?) and also the remains of massive gun batteries that were built in 1914 to defend Los Angeles against attack. Abandoned government project turned bungee jumping destination? We’re on our way. L.A.’s first outdoor mall features a 60-foot tall tower with a revolving globe on top and a fake ship surrounded by internationally-inspired buildings. The Spanish cigar shop, French parfumerie, and the rest of the stores have since been converted into boring offices, but the whimsical architecture remains. The unusual green space has stood in for Starfleet Academy in assorted Star Treks. The city’s most glorious eyesore is getting a $100,000 upgrade. Buy a Mr. T action figure and/or an inflatable cockroach and/or a book on nunsploitation at what has to be the weirdest shop in L.A. Be sure stop in to the pop surrealist La Luz De Jesus gallery next door. This is the tunnel the Batmobile always emerges from in the campy 1960s Batman. You could argue that Frank Gehry is the greatest living architect. You could also argue that the Santa Monica home he inventively remodeled in 1978 kills the neighborhood aesthetic. Your call. Not only is the county coroner’s office housed in a creepy old building Boyle Heights, it also has a hokey death-themed gift shop selling body bags and souvenir mugs. The kitschy facades of this odd faux-European side street in the Jewelry District (complete with overhead walkways inspired by Venice’s Bridge of Sighs) are a little the worse for wear, but you can still order a decent kabob al fresco. Drink a beer in the keg-shaped bar. And don’t stop there—seek out the rest of L.A.’s whimsical programmatic architecture, as well as the Venice binoculars building, this Cadillac-shaped store in Tarzana, and what’s left of the Brown Derby in Koreatown. It’s not hoarding. It’s curation. After you’ve purchased and consumed at least two churros, look up and you’ll see that what’s likely the oldest grapevine in Los Angeles is still growing on an arbor overhead—a plant grown from a clipping of the Vina Madre that was first planted at the San Gabriel Mission in the 1700s. Oh, and there’s a guy who makes wine out of the fruit. There’s a rock formation in the Arroyo Seco that looks eerily like Satan’s face (as anyone who’s seen Satan can vouch), and beside it is a locked gate blocking the opening to a floodwater channel that, per legend, is one of the Seven Gates of Hell. Hike up to it, and you’ll realize it’s way bigger than it looks from 101. How to make a bubble house. Step 1: Inflate giant balloon. Step 2: Blast it with spray concrete. Step 3: Deflate giant balloon. Seriously, that’s how this Pasadena home was made, and it’s the last one like it in the United States. This one-time Nazi commune is now a jumble of heavily-tagged ruins. It’s Gandhi’s final resting place. There was a time when forward-looking architects thought domes were the future. They were wrong, but at least they built us this sci-fi gem of a movie theater.